Over the past few years, food trucks have become ubiquitous in the country’s biggest cities, from Boston to San Francisco. In addition to convenience, these mobile eateries offer gourmet fare at affordable prices. Whether your taste buds crave spicy Korean tacos at Los Angeles truck Kogi BBQ or freshly baked buttermilk biscuits at Austin’s Biscuits + Groovy, food trucks are a great option for finding a quick—and delicious—meal. Here are our picks for America’s best food truck cities. This California metropolis is known for its innovative food scene, and its street fare is no exception: 200 gourmet food trucks offer everything from Korean barbeque to handmade beignets and regularly rotate throughout the city. 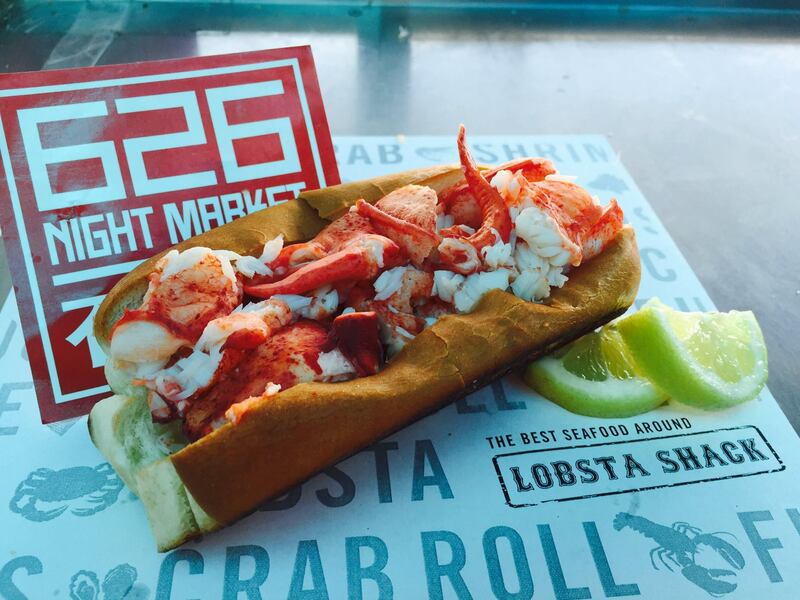 East coast transplants will enjoy the Lobsta Truck, which serves up fresh Maine lobster and crab on a toasted split top roll. 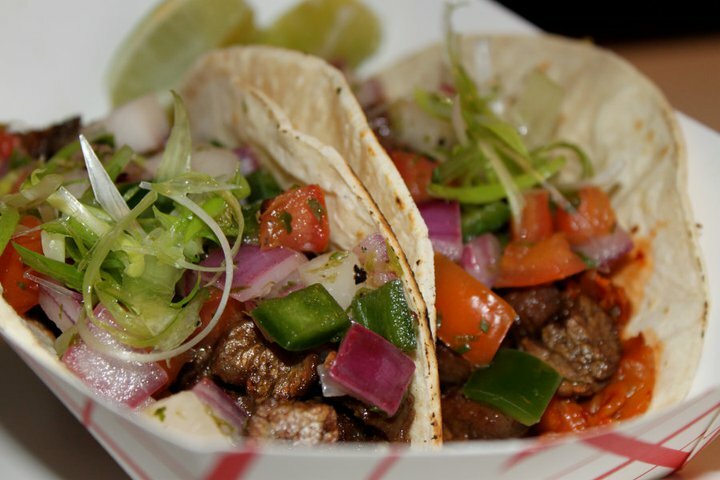 For Mexican-inspired soul food, try Sky’s Gourmet Tacos. Kogi BBQ, one of the city’s most popular food trucks, offers spicy Korean tacos that will set your mouth on fire. Cool down with dessert: Coolhaus’ “architecturally inspired” treats include ice cream sandwiches with flavors like balsamic fig and mascarpone, and molten chocolate cake. Everything’s bigger in Texas, including food trucks: Austin boasts an impressive number of food wagons, trailers, and carts, all with unusual themes. At Hey!…You Gonna Eat or What?, husband and wife team Eric and Lizziane Regan offer gourmet, Southwestern-inspired sandwiches. The Lonestar BLT includes thick cut slices of applewood-smoked bacon and poblano pepper aioli, and the Texas Mesquite Turkey is topped with fried green tomatoes and homemade jalapeño jelly. At Biscuits + Groovy, the menu pays homage to 70s-era music icons: the Aretha Franklin includes three freshly baked buttermilk biscuits with white pepper gravy and sausage, while the M.C. Hammer offers one open-faced buttermilk biscuit with two scrambled eggs and bacon. If you’re in the mood for barbeque, visit Micklethwait for tender beef brisket and pulled pork sandwiches. Hey!…You Gonna Eat or What? Hungry New Yorkers don’t have to look far for quick eats. From Times Square to the Upper West Side, food trucks are scattered throughout the city and provide diverse fare fit for any palate. Kimchi Taco Truck features classic street food with a unique twist, including the Tofu Edamame Falafel Taco and Fresh Kimchi Bowls with beef, pork, or chicken. For Taiwanese-style fried chicken, look no further than Bian Diang. 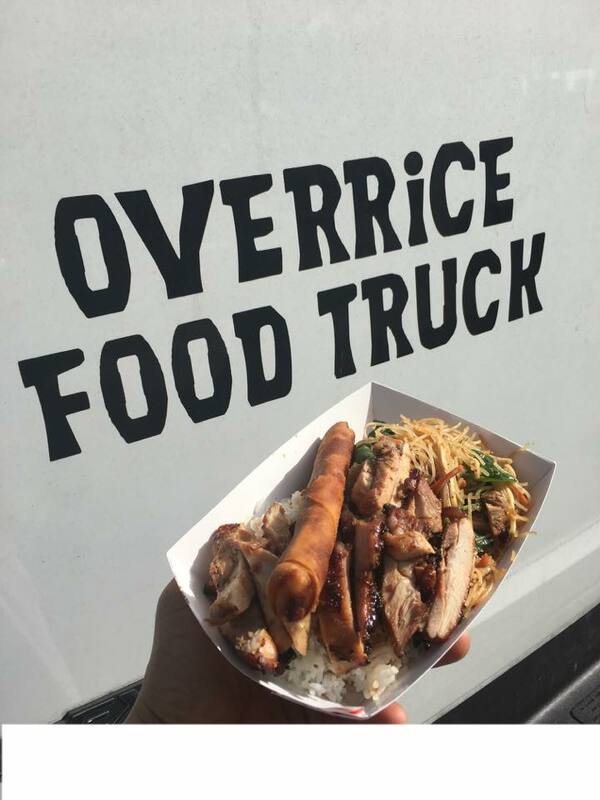 The truck serves pan-fried chicken and pork, served atop a mountain of jasmine rice. When it rains in Seattle, it pours—but that doesn’t stop hungry eaters. Locals and visitors alike enjoy the city’s 50 food trucks, which serve everything from tacos to Filipino cuisine. At Where Ya At Matt, Southern comfort food has never tasted so good. Dishes include shrimp po’ boy sandwiches and Cajun jambalaya, and the truck also offers authentic pecan pie and beignets for dessert. Off the Rez features Native American-inspired fare, including sweet vanilla pear butter fry bread and tacos with chicken chili verde. 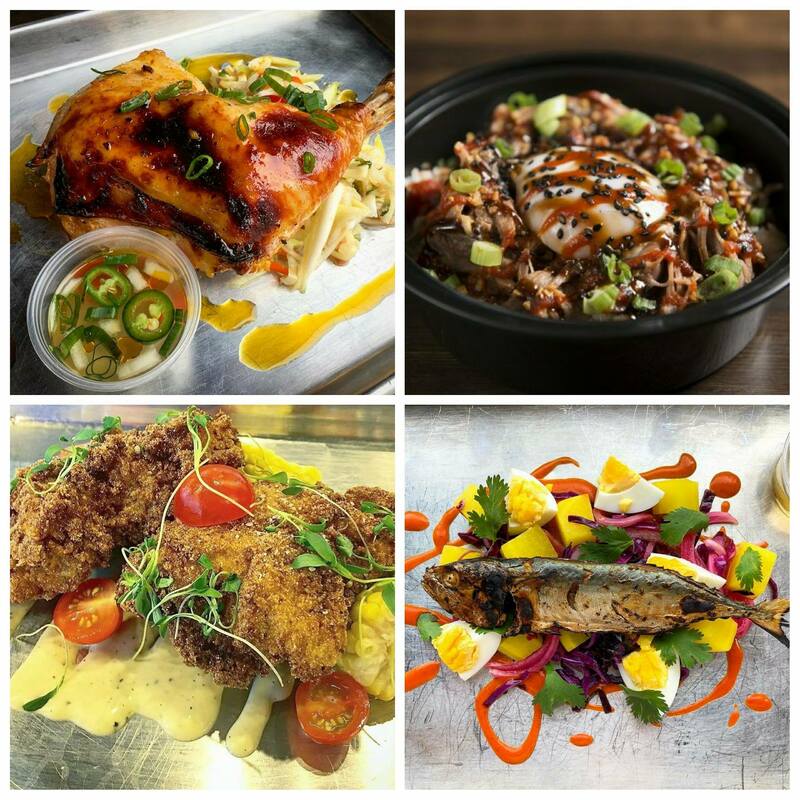 For Hawaiian-Korean food, stop by Marination. The truck offers stuffed-to-the-brim tacos and sliders, cooked to order and topped with a tangy slaw. Most DC food trucks are located in the downtown area, offering busy politicos and visitors the chance to sample the city’s street fare. 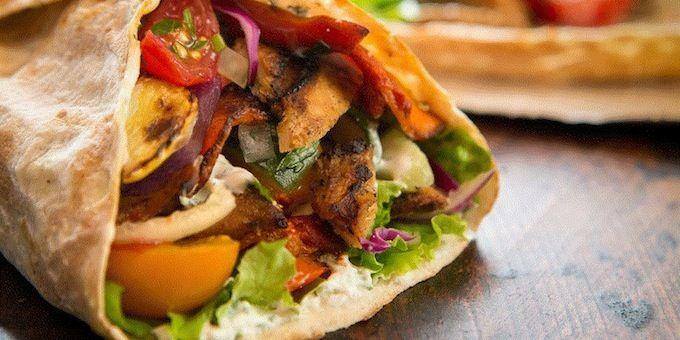 Tasty Kabob features chicken, lamb and veggie kabobs and a rotating menu of specials. Hawaiian food is hard to find in the nation’s capital, but Hula Girl serves some of the best: The truck’s grilled-to-order teriyaki steak, chicken, and tofu are menu mainstays, and lunch includes bánh mì-style sandwiches and salads. Pho lovers will enjoy Pho Junkies, where you can order a bowl of steaming soup with your choice of meat. For a sweet treat, visit Westray’s Finest Ice Cream. 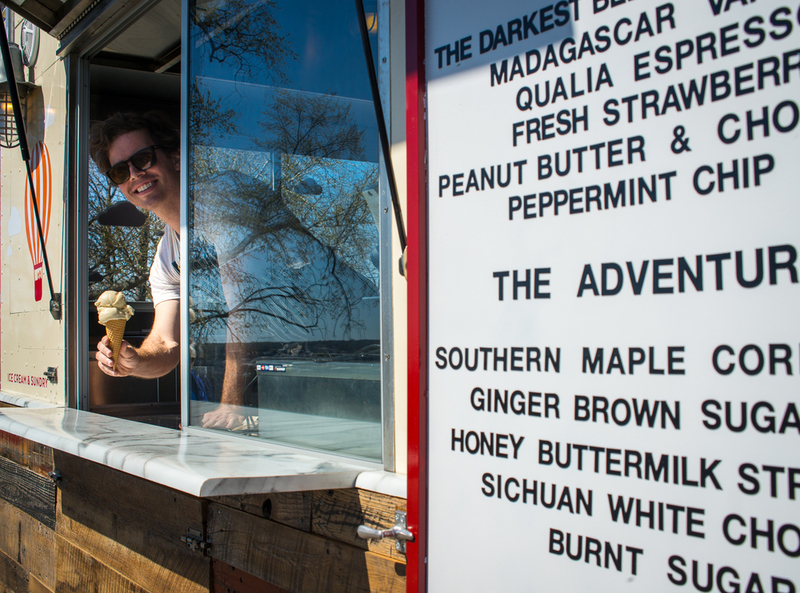 The new truck serves inventive flavors such as southern maple cornbread and Sichuan white chocolate. 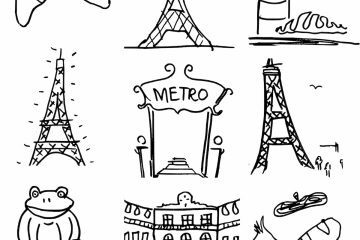 LEARN MORE Which US Cities Make It Easiest To Commute Without A Car? Often considered a culinary underdog, St. Louis is gaining momentum as a popular food truck city. Guerrilla Street Food serves Filipino-inspired cuisine with fresh, seasonal ingredients. The truck’s rotating menu includes dishes like slow roasted pork asado and sausage with chilis. For fresh tacos and sandwiches, look no further than Cha Cha Chow. 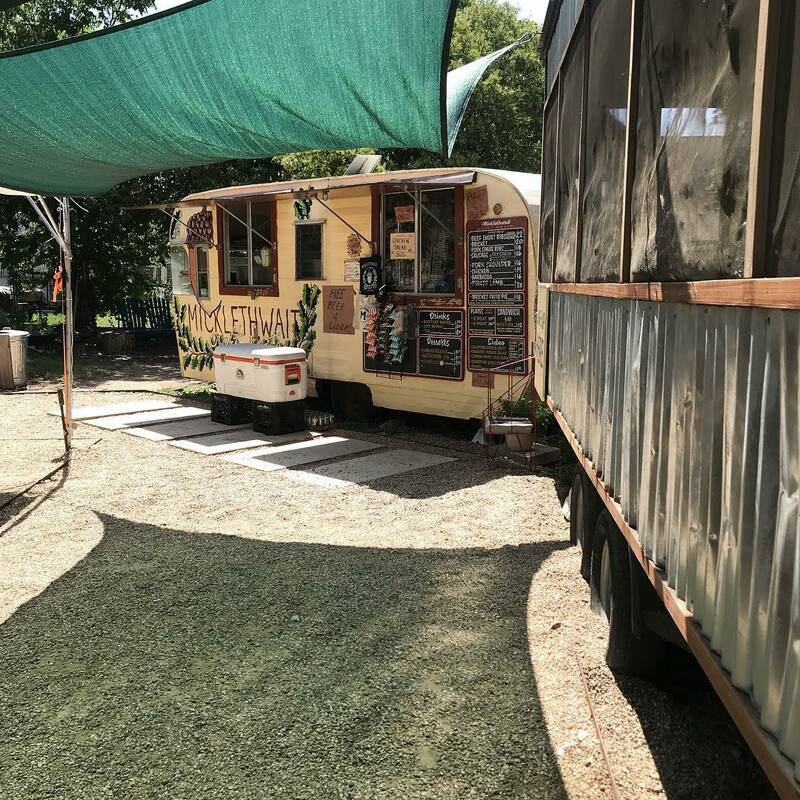 The truck prepares all of its spicy street fare onboard, and offers dishes like curried sweet potato tacos and handmade burgers topped with poblano peppers and spiced ketchup. Go! Gyro! 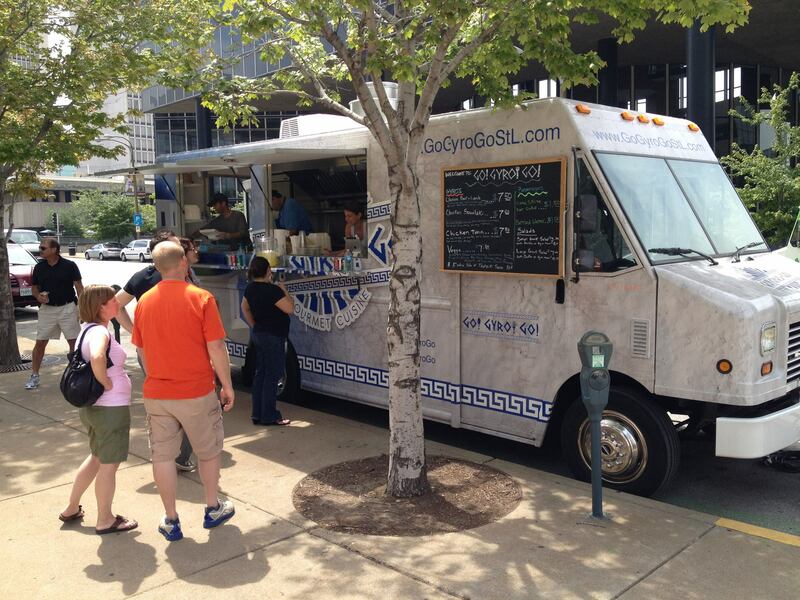 Go!—the city’s only Greek food truck—features traditional dishes such as chicken souvlaki and grilled pita with homemade tzatziki. In terms of sheer number of food trucks, Portland takes the cake. The city boasts over 600 food carts that are grouped into pods, making it easy to sample a variety of dishes. 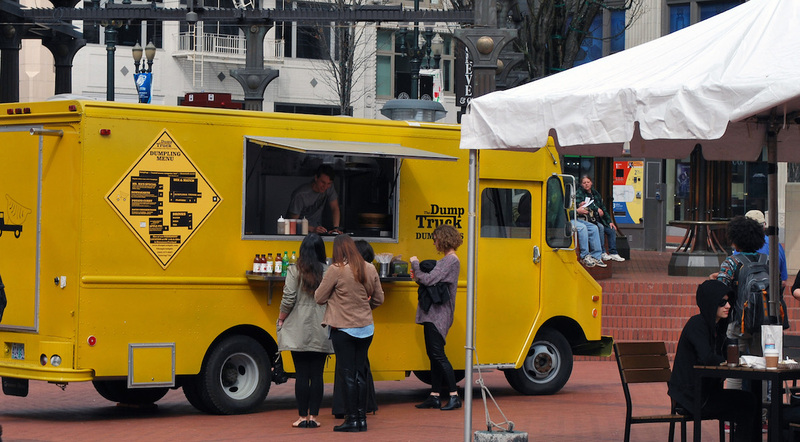 For Chinese dumplings with a creative twist, stop by The Dump Truck. 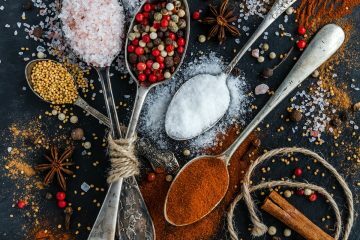 Popular flavors include the bacon cheeseburger with a housemade secret sauce, and vegan-friendly potato curry with coconut sauce. 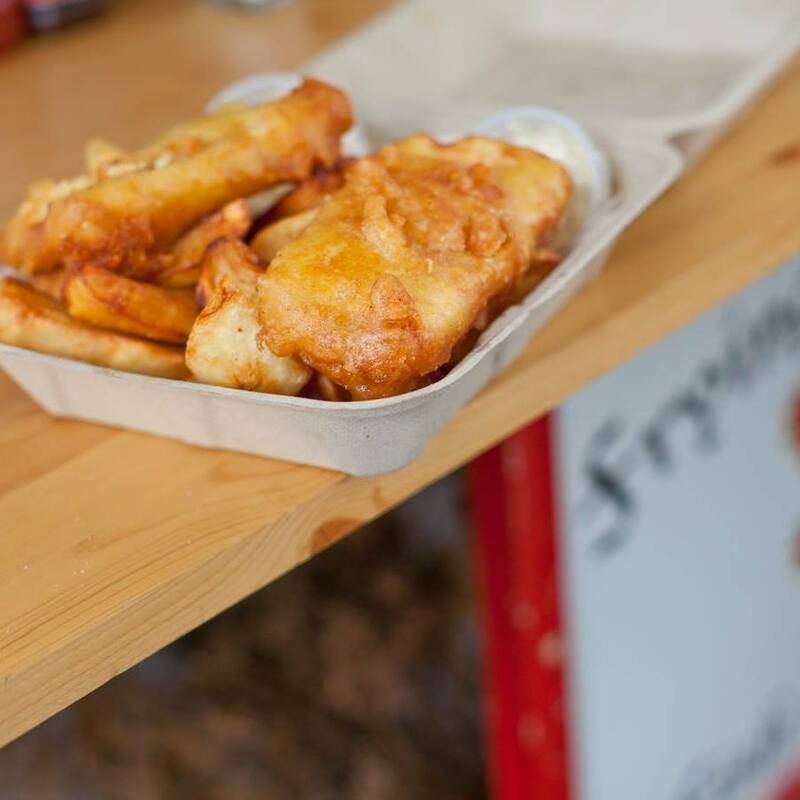 The Frying Scotsman serves authentic British fish and chips, complete with a side of peas and curry sauce. Late night eaters flock to Potato Champion, which serves up classic Canadian comfort food like poutine. Food trucks in Minneapolis have to weather the seasons, as cold winters can deter hungry patrons. But many trucks remain open throughout the year to serve seasonal, organic comfort food that helps locals stay warm. 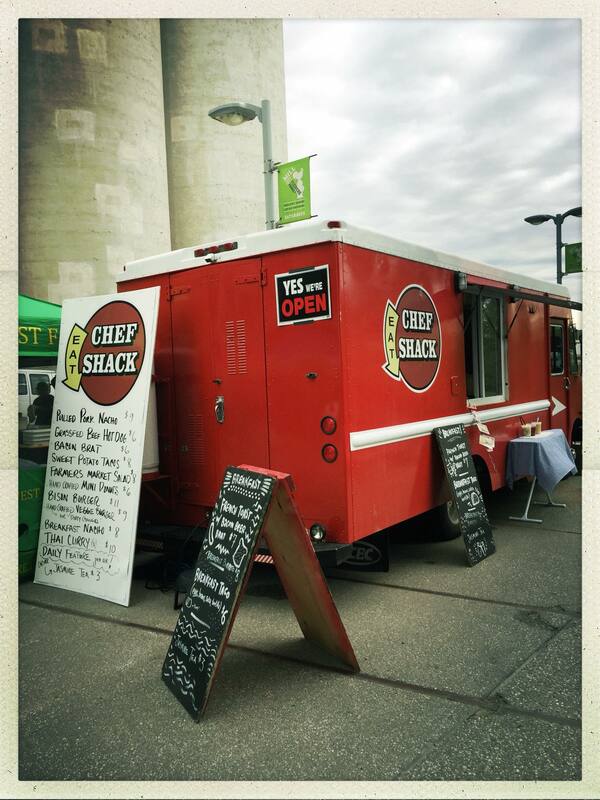 Chef Shack offers a diverse menu with everything from Indian-spiced organic mini-donuts to grass-fed beef tongue tacos. For locally sourced gourmet fare, visit Dandelion Kitchen. The menu includes a duck confit sandwich with house-made rhubarb sauce, and salads with organic microgreens and a selection of farm cheeses. True to its name, the Moral Omnivore serves sustainable food that’s good for your stomach and your conscience. Popular dishes include butternut squash tacos and beet sliders with creamy mustard sauce. 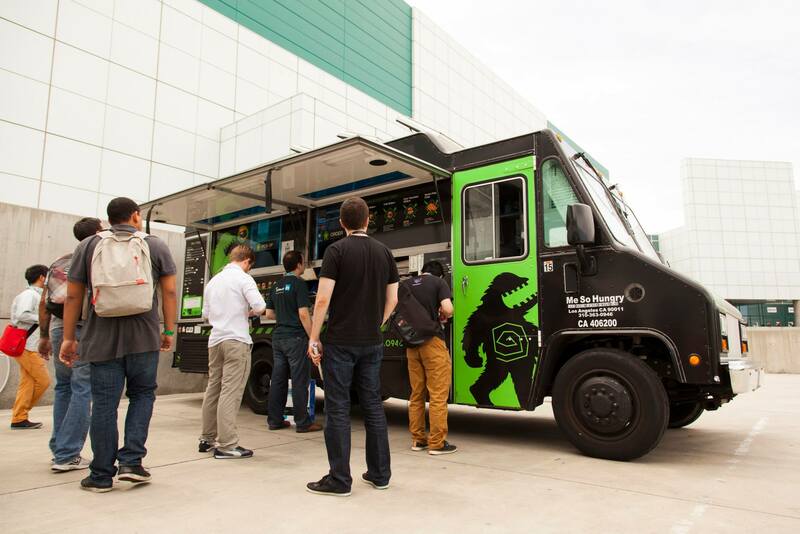 San Francisco is a veritable food mecca, and food trucks have taken center stage. 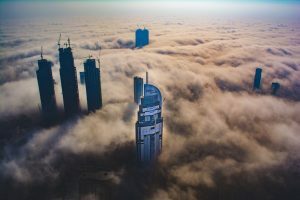 The city boasts over 150 roaming carts, an annual street food festival, and weekly markets that bring local vendors together. 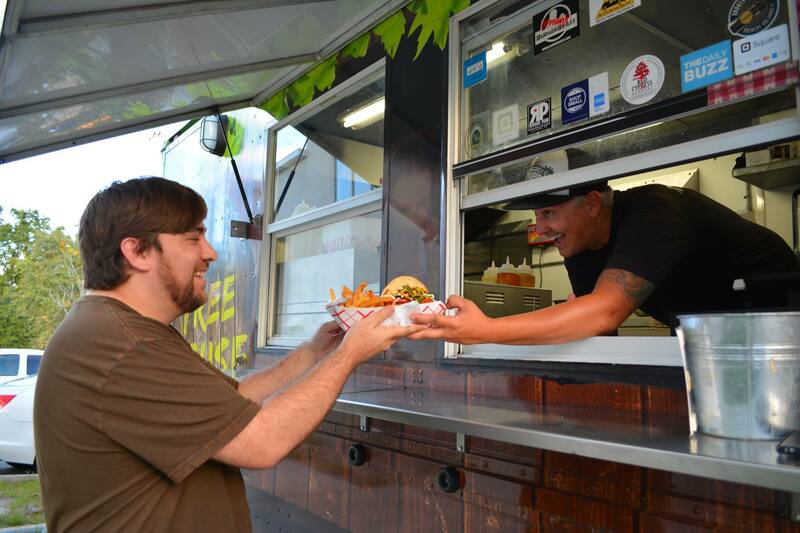 Many top chefs and foodies helm local trucks. At Me So Hungry, a team of top chefs prepares hearty sliders with angus beef, marinated short ribs, and spicy Asian-inspired sauces. 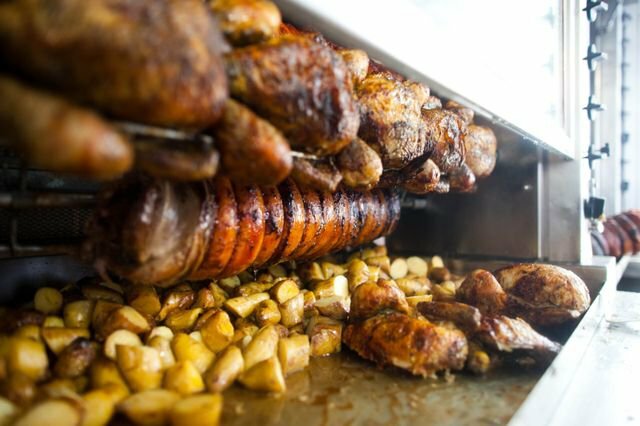 RoliRoti, the country’s first mobile rotisserie food truck, offers sustainably farmed meats. At CurryUpNow, hungry eaters can enjoy Indian-inspired street food, including fried ravioli with tikka masala dip and “deconstructed samosas” with meat and chutneys. Stop by the Crème Brûlée Cart for creamy desserts in flavors like frosted flakes and green tea. 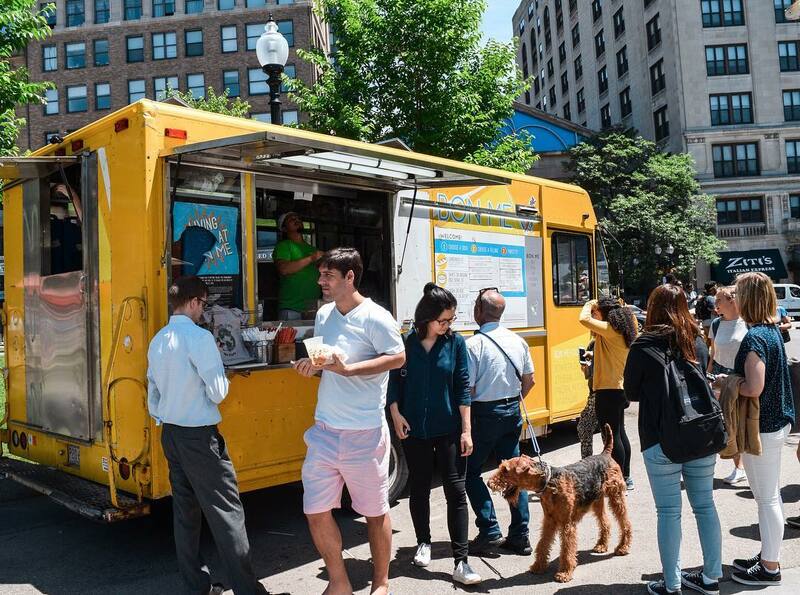 Bostonians love their street food. Trucks circulate throughout the city, attracting hungry college students and suited businessmen alike. 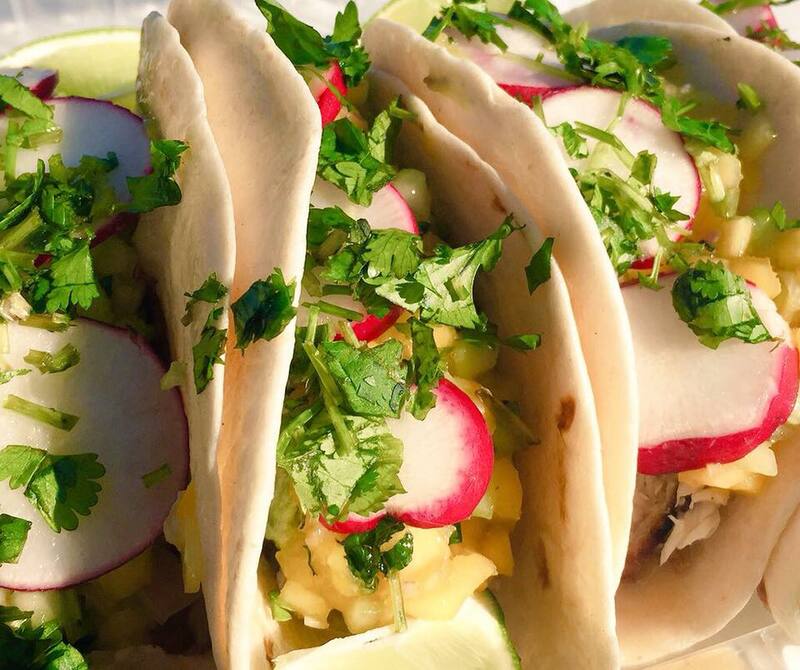 For authentic Baja fish tacos and green chili dip, visit the Baja Taco Truck. The truck also serves giant California burritos with chips and salsa. 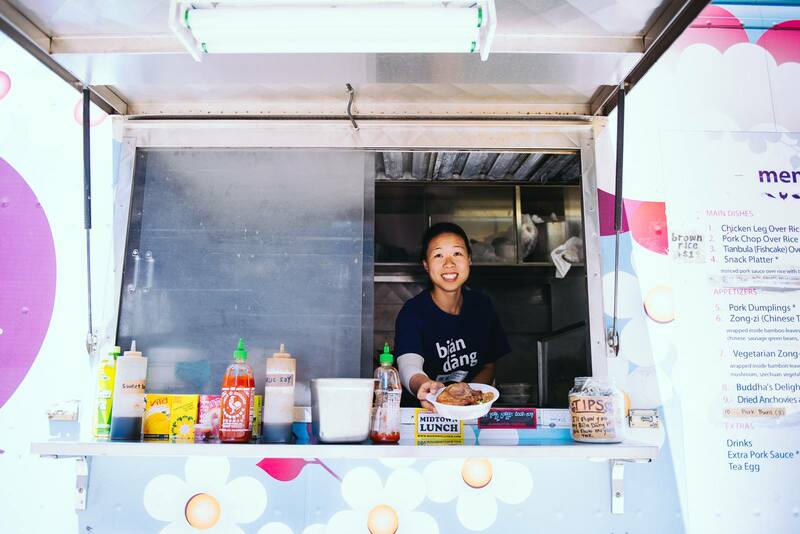 The Bon Me Truck serves a classic Vietnamese bánh mì with pickled carrots, daikon, house-made pork pate, and spicy mayo, all piled high on a toasted baguette. 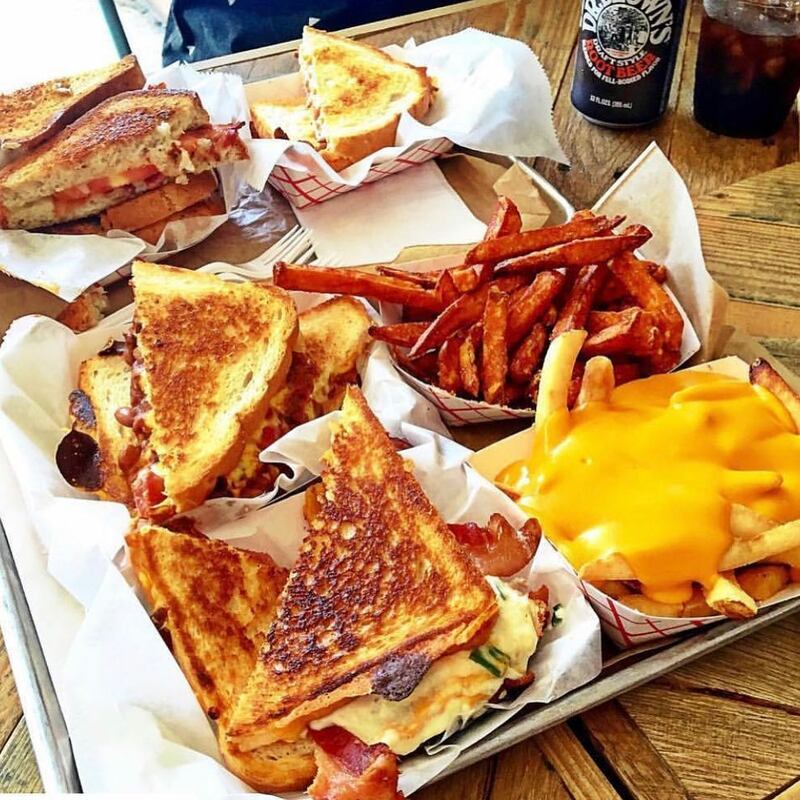 Grilled Cheese Nation serves gourmet sandwiches with ingredients like Great Hill blue cheese, organic fig spread, and aged cheddar from Vermont. 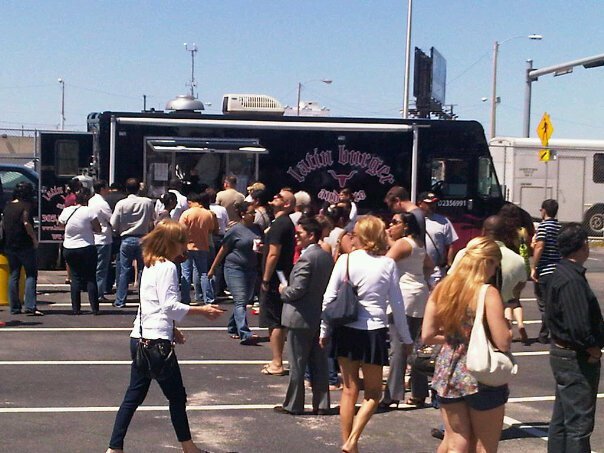 Food trucks didn’t make an appearance in Miami until 2010, but since then, they’ve taken the city by storm. 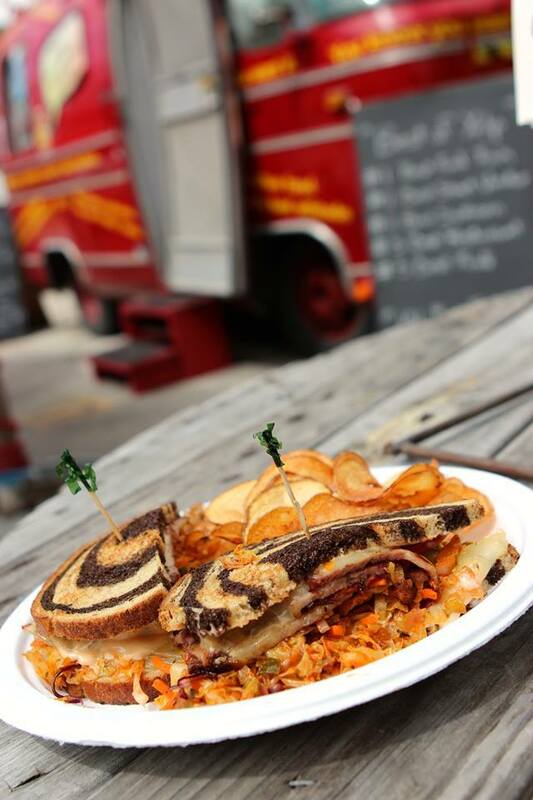 Stop by Ms. Cheezious’ turquoise blue truck for creative takes on classic grilled cheese. 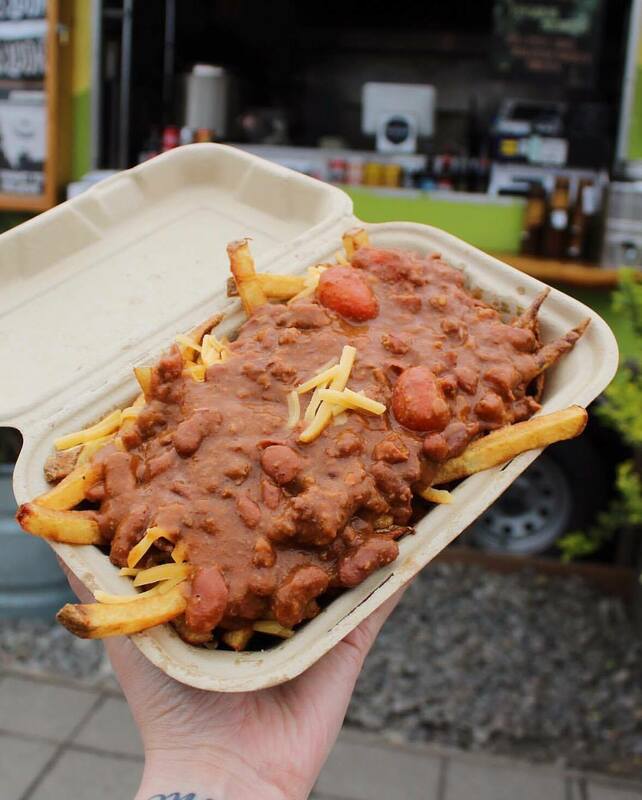 The Frito Pie Melt with homemade chili, American cheese, jalapenos, and Fritos is crowd pleaser. To sample some of the city’s Latin fare, visit Latin Burger and Taco and try the namesake burger with Argentine chorizo and Oaxacan cheese. For Asian fusion, don’t miss Dim Ssäm À Gogo. 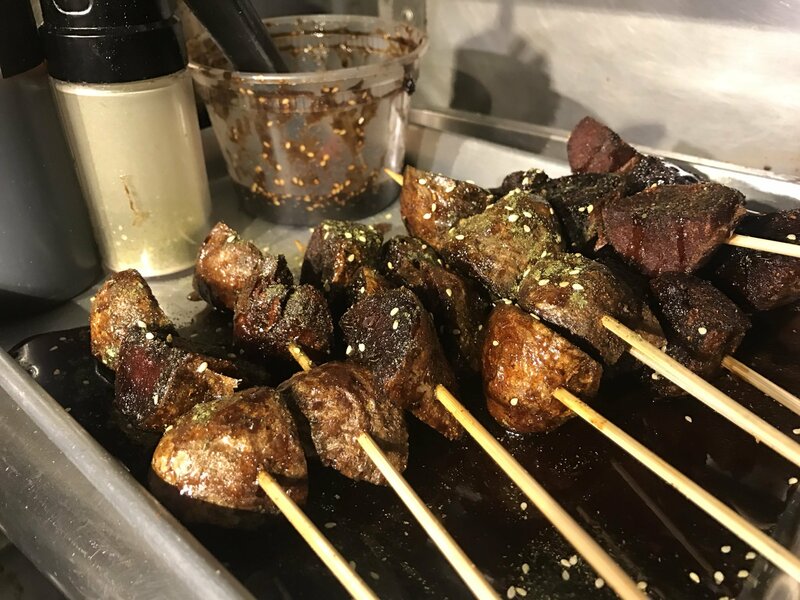 An offshoot of Midtown restaurant Sakaya Kitchen, the truck serves up inventive fare including short-rib topped tater tots and ginger Brussels sprouts. For those with a sweet tooth, Marlie’s Delights does not disappoint. Nutella flan and brownie ice cream sandwiches are both dishes that consistently show up on the rotating menu. 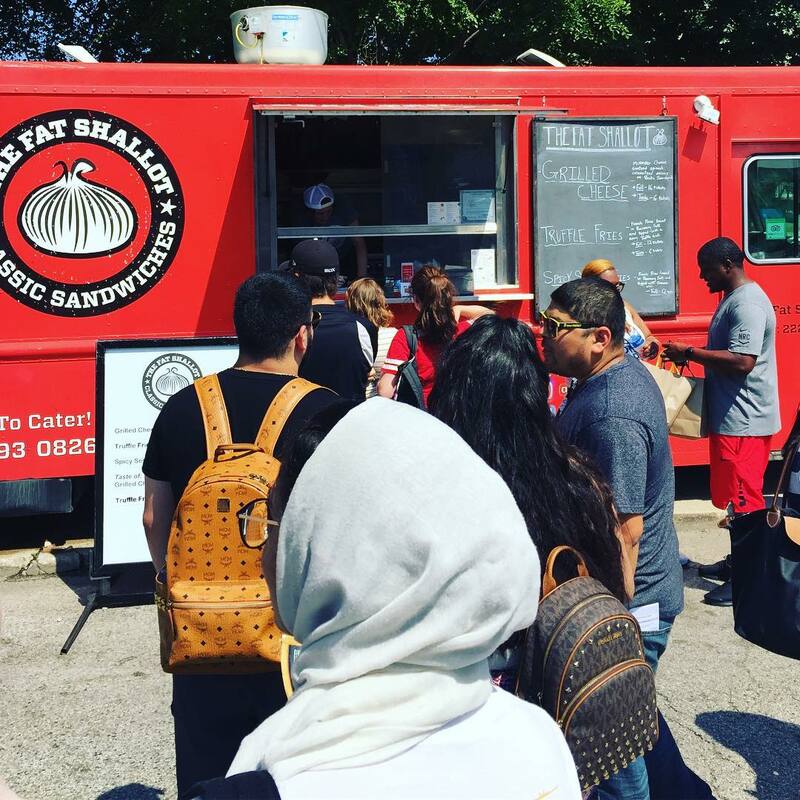 The food truck scene in Chicago is picking up steam and the city is now home to a variety of rolling eateries. 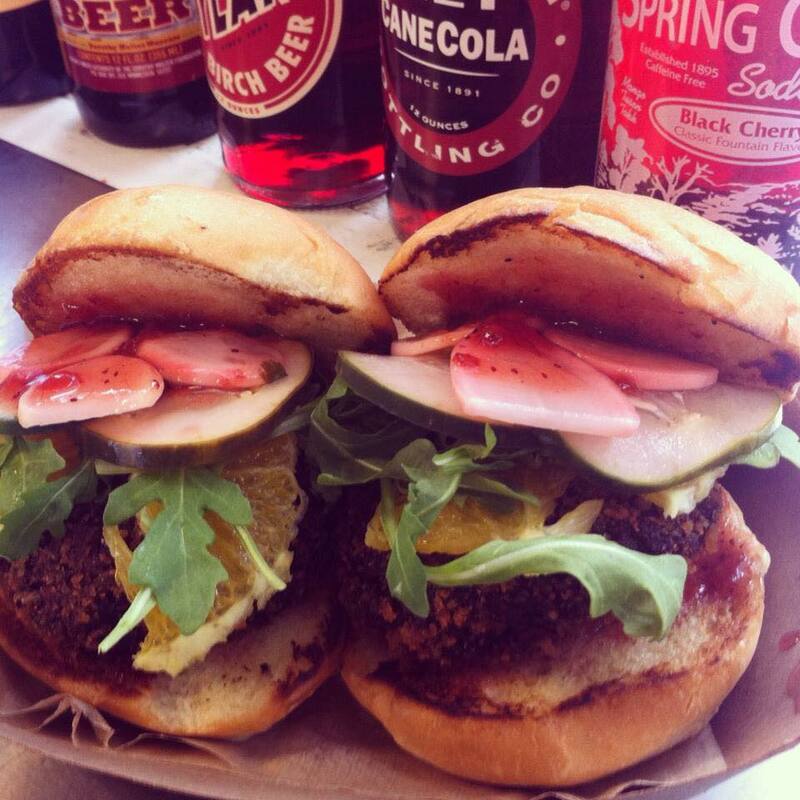 For classic sandwiches with a gourmet twist, stop by the Fat Shallot. The BLT with arugula and truffle aioli and buffalo chicken with blue cheese sauce will please your palette. Authentic Puerto Rican fare rules at the Jibarito Stop, where visitors can load up on empanadas, caramelized plantains and lechon, or roasted pig, served with peas and rice. 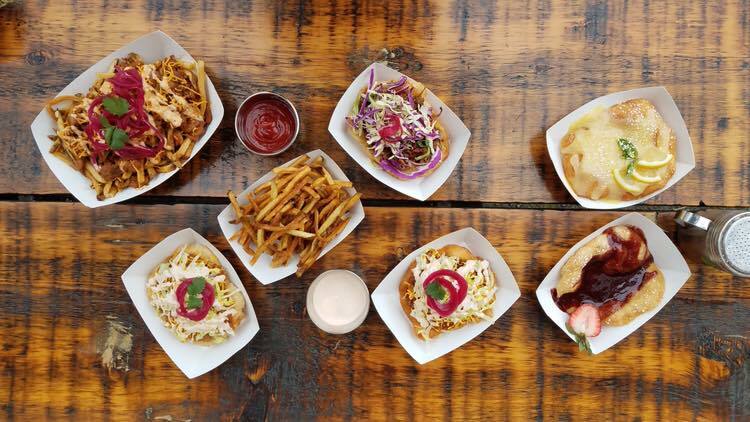 For a taste of the city’s Polish influence, don’t miss Pierogi Street. Visitors can choose between cheddar, potato or braised beef fillings and topping such as spicy onions and sauerkraut. European-style döner kebabs are difficult to find in the Midwest, but DönerMen is working to change that. 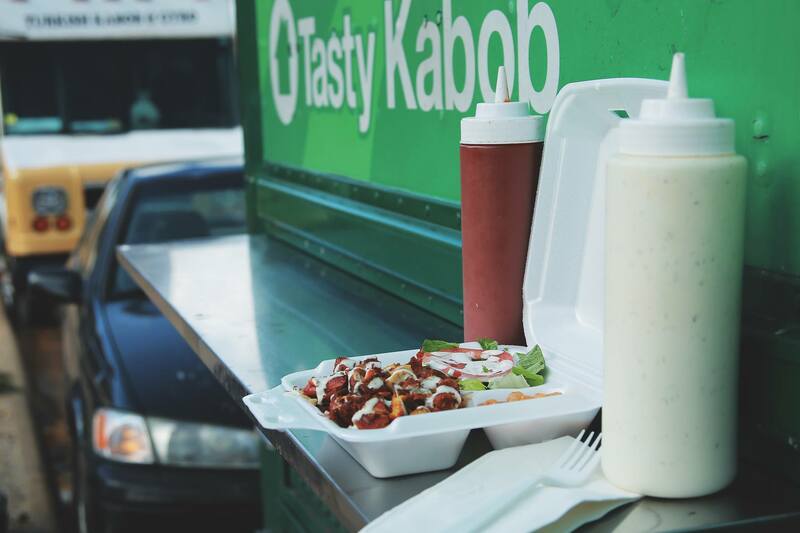 The graffiti-covered truck serves traditional kebab including spit-roasted chicken with tzatziki, harissa and homemade flatbread. 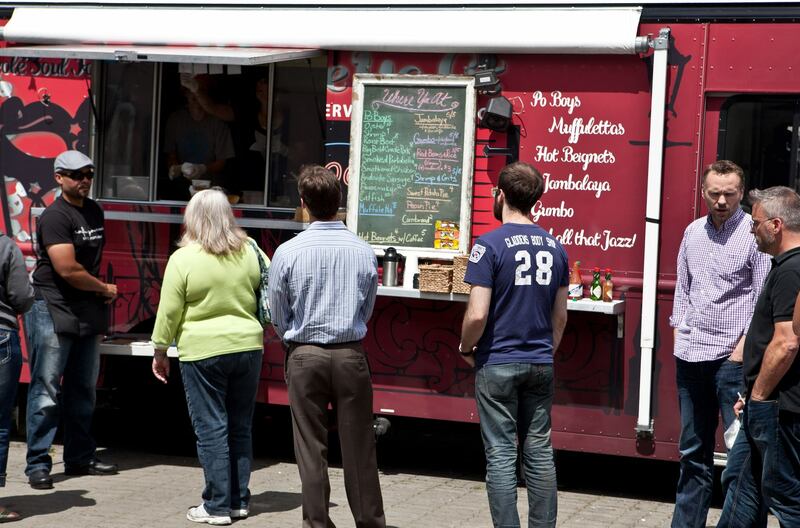 The Music City is also home to a sprawling food truck scene. It wouldn’t be Nashville without biscuits, and the Biscuit Love Truck serves the southern staple. Popular menu items include the East Nasty with buttermilk-fried chicken, cheddar, and sausage gravy, and the Gertie, a biscuit topped with caramelized banana jam, house-ground peanut butter, and salted pretzel bits. Barbecue lovers will rejoice at Smoke Et Al, which serves classic and creative fare. Don’t miss the Noble Brisket Tacos with smoked beef brisket, corn red pepper salsa, and cilantro lime crema. 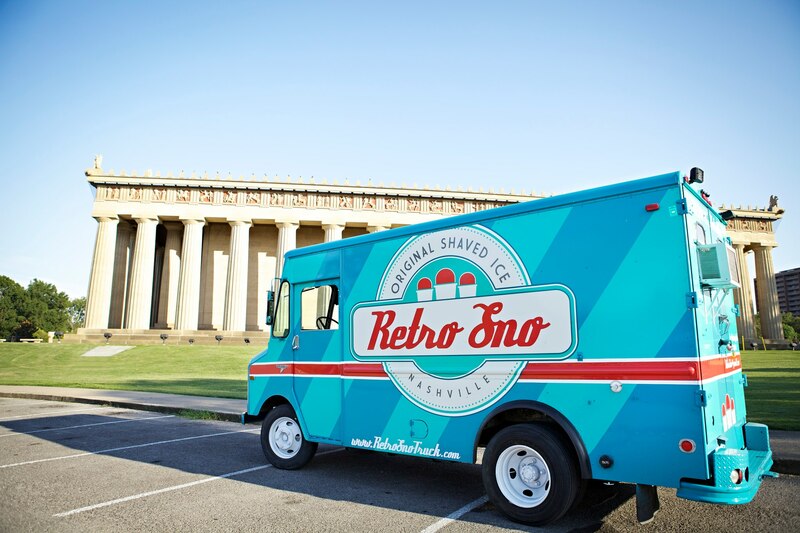 Cool off at Retro Sno, a shaved ice truck. “Snoball” flavors include sangria, sweet tea, strawberry lemonade, and tres leches. Visitors and locals will enjoy Orlando’s street food scene, which has recently grown by leaps and bounds. Korean KKQ Taco Box serves Mexican- and Korean-inspired dishes including spicy pork and beef tacos with a side salad. For Filipino or Hawaiian fare, stop by OverRice to try the Huli huli chicken, Kalua pork, and sweet chili sauce. At the Treehouse Truck, hungry visitors can sample authentic Philly cheesesteaks. The truck also serves made-to-order burgers such as “Rachel’s Goat Cheese” with whipped goat cheese and balsamic glaze, and “GC Luther,” a bacon cheeseburger served between two Krispy Kreme grilled cheese sandwiches. Shish kabob lovers will enjoy the S.W.A.T. Truck, or “Swekers with a ‘Tude.” Dishes include roasted shrimp, pork, and chicken served over white rice with marinated vegetables. 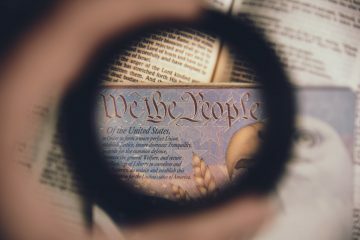 This feature is written by Emily Wasserman & originally appeared in Fodor’s.